Make your way to Singapore in May! Singapore invites you to a world of new experiences in May. In the stunning paradise of Singapore, you can shop till you drop, revitalize your fashion spirit, enjoy irresistible Shakespeare plays and much more. During your stay in Singapore, pamper yourself with luxury and do remember to explore its ravishing nightlife. We share with you some of the impressive events which will bring the artist and fashionista in you alive! Get your Singapore visa for an unforgettable experience. Are you a die-hard fan of Shakespeare plays? Then get ready and plan your trip to Singapore, as the impressive romantic comedy play ‘The Tempest’ awaits you! The stunning Singapore Repertory Theatre will mesmerise you with its fancy sets, fabulous creative team and talented cast. This is a popular annual event in Singapore's cultural calendar and surprises the viewers with it’s amazing performance each year. Plays like The Merchant of Venice, Othello, Twelfth Night, Macbeth, A Midsummer Night's Dream, and Much Ado About Nothing have been among its outstanding success . Gaze at the stars, while you indulge in the thorough outdoor theatre experience and enjoy the fairy tale magic. Asia Fashion Exchange (AFX) is back with its fashion fiesta to introduce you to the whole new world of style and fashion. This one-week magical festival has earned Singapore the title of ‘Asia’s fashion capital.’ This event is popular for its runway shows trade events and glamorous parties. The Audi Fashion Festival, the BLUEPRINT trade show, Audi Star Creation design competition and Asia Fashion Summit are the key highlights of this fashion event, which will stimulate your senses. Be a part of this event - get introduced to mind-blowing designs, promising fashion insights, participate in the fashion design competition, get a chance to intern with ace fashion designers and grab some marvellous pieces from creative designers. For all you shopaholics, it’s time to celebrate! The Great Singapore Sale, popular known as GSS, is back with its fabulous discounts and wonderful offerings. 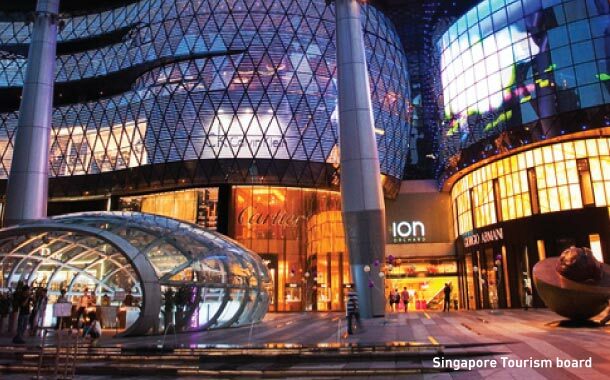 The Singapore Retailers Association organises this annual shopping event across Singapore and all the stores and malls are decked up to celebrate this festival with enthusiasm. The main intention behind this festival is to boost the tourism business of the country. You can expect an unbelievable discount of up to 70 per cent on amazing products. To ensure lovely picks, you must visit the popular shopping the Orchard Road (designer brands), or else the small shops in Chinatown, Kampong Glam and Little India. This event is celebrated with enthusiasm and the markets offer amazing range of almost all products which include fashion, jewellery, toys and electronics.